Digital technologies are proving to be highly disruptive, and they are transforming the way businesses operate. In the chemical industry, companies are starting to see evidence of that disruption, as technology enables greater efficiency, speed and innovation in everything from manufacturing and the supply chain to marketing—and opens the door to new business models. The DPI research shows that some players in the industry are embracing digital technology across the organization. Their experience provides insights that other companies—those still in the early stages of digital usage—can leverage to guide and accelerate their efforts. 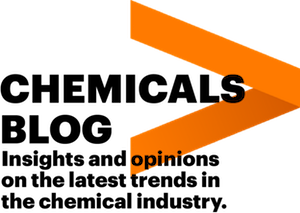 Accenture has applied its DPI analysis to a number of industries, and a comparison shows that the chemical industry is still lagging in the digital race, with an overall ranking below the cross-industry average (Figure 1). This lower ranking held true in all four dimensions, but the range for the industry was higher and closer to average in the MAKE and MANAGE dimensions. To glean additional insights about digital transformation in the chemical industry, we analyzed the interplay between digital and financial performance of companies by mapping the DPI results with data from our High Performance Business (HPB) framework.2 We found a positive link across all four DPI dimensions (Figure 2). However, there are also significant differences in the way chemical companies approach, implement and leverage digital tools—and the pace in which they do so. With these results in mind, chemical companies can be grouped into four categories. Digital High Performers: Companies with both strong digital performance and financial performance. Digital Leaders: Companies that have made significant progress in developing digital capabilities but do not stand out in terms of financial performance. Business Leaders: Companies that have achieved strong financial performance but are not especially active in terms of making digital technology a priority. The Rest: Companies that have survived but done little to build up digital capabilities. Given the positive link between digital and financial performance, we felt it was important to dive deeper into what factors differentiate companies that are successfully navigating their digital transformation journey. As explained below, we identified four key areas. Digital High Performers are putting digital into action and taking a comprehensive approach to using and combining multiple digital technologies. These companies have been implementing digital tools and levers in processes along the chemical value chain, as opposed to simply assessing and piloting technology. They are also more likely to be applying digital in all four dimensions. For example, Business Leaders tend to focus digital efforts on the SELL dimension, but Digital High Performers are doing so across PLAN, MAKE, SELL and MANAGE activities. Digital High Performers are also more likely to be combining various digital technologies: Accenture’s recent Industry X.0 research3 found that the number of references to the use of multiple technologies by chemical companies increased dramatically in 2017.4 Combinations typically include augmented reality and autonomous vehicles; augmented/virtual reality and big data or the Internet of Things (IoT); and artificial intelligence and big data. Digital Leaders and Digital High Performers leverage external expertise. Digital technology is not a core competency of the chemical industry, so these companies tend to collaborate with external resources to tap into digital knowledge and speed up the digital transformation process. For example, they may use open collaboration platforms to access fresh thinking and external views; work closely with start-ups to test and experiment with new technologies; or simply hire external digital experts directly. Many also leverage their venture-capital businesses to fund applications that use new technologies. Digital Leaders and High Performers continuously track digital efforts. Digital High Performers pursue digital initiatives with business goals in mind and focus on using it to make things smarter, faster, better and/or safer. To that end, they monitor the progress and impact of their digital initiatives—often, using real-time information—and constantly review their digital investments to keep efforts on track. One chemical company, for example, links its artificial intelligence initiatives directly to business outcomes, measuring the impact on cost reductions or revenue increases. Data security is a high priority for Digital High Performers and Digital Leaders. For these companies, data security is a board-level issue. They recognize the need for a holistic approach to security in an increasingly connected world and have comprehensive security policies and cyber-risk management processes in place. Many of them have created a dedicated chief information security officer (CISO) position to oversee cybersecurity and data lifecycle security. Others have a digital officer managing cybersecurity for both information technology and operational technology. Digital technology promises to be a real game changer for the industry. Accenture has conducted research5 into the drivers and directions of disruption across industries, and the findings suggest that the chemical industry has so far avoided the kind of upheaval that has become familiar in other industries. But that research also indicates that chemical companies’ increased use of digital technology and technology-driven business models will accelerate change for chemical companies, and create volatility in the industry. Companies should not mistake the current “calm” in the industry for long-term stability, or for a lack of risk. For example, Business Leaders tend to limit their digital efforts to the “SELL” dimension—typically, e-commerce and customer interactions. That may work well enough today. But as Digital High Performers continue to invest across all four dimensions, Business Leaders are likely to find themselves competing with companies that have fully automated their production facilities, and are seeing the resulting cost, efficiency and flexibility advantages. Business Leaders will then struggle to find the funds and time to catch up with the Digital High Performers. Disruption is likely to come from new entrants, as well. For example, digital farming is a major growth area for the agrochemical industry. However, we now see “independent” agricultural data-analysis service firms on the rise. Such independent digital farming companies offer smart tools combined with data, advisory services and new pricing mechanisms—and they pose a significant potential threat to traditional agrochemical companies. Digital readiness in the chemical industry varies significantly from company to company, but for many, the pace of digitalization is now increasing. As they pursue digital initiatives, chemical companies can learn from Digital High Performers. That is, they can take a comprehensive, systematic approach to digital, leverage external expertise, measure digital progress and make cybersecurity a priority. And, through the intelligent combination of digital technologies, chemical companies stand to realize over US$90,000 of incremental savings in cost per employee and an estimated US$4.5 billion in additional market cap gains.6 Thus, digital transformation is no longer just an option for chemical companies to consider—it has become a real business imperative. 1 The Digital Performance Index (DPI) is Accenture’s cross-industry assessment framework based on a review of publicly available information that quantitatively evaluates the level of digital investment and progress across four business functions (plan, make, sell and manage). This multi-layered approach enables a comprehensive view of companies’ digital integration across a full breadth of business activities and metrics. More information about Accenture’s DPI can be found at https://www.accenture.com/us-en/insight-digital-performance. 2 Accenture’s High Performance Business (HPB) framework is a method of evaluating business performance against industry peers. It is comprised of four dimensions (long and short term financial performance, operational excellence, growth and innovation), each measured with a further set of equally-weighted metrics. More information about Accenture’s HPB framework can be found at https://www.accenture.com/us-en/insight-digital-high-performance. 3 Abood, David; Aidan Quilligan; Raghav Narsalay. “Industry X.0: Combine and Conquer – Unlocking the power of digital,” Accenture, 2017. Accessed on November 15, 2017 and viewable at: https://www.accenture.com/us-en/insight-industry-digital-reinvention. 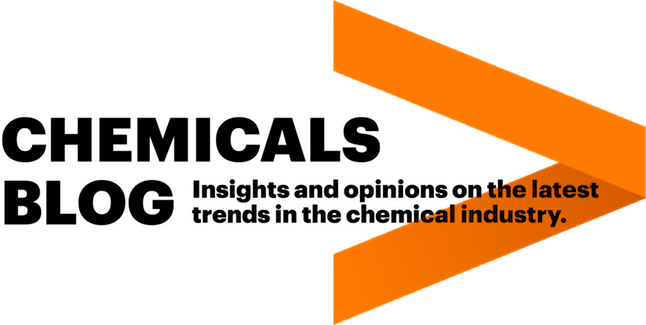 4 Accenture Research press article analysis for chemical companies done as part of Accenture’s 2017 Industry X.0 research. 5 “Compressive Disruption: Learn to thrive under pressure,” Accenture, 2017. Accessed on November 15, 2017 and viewable at: https://www.accenture.com/us-en/insight-compressive-disruption. 6 Abood, David; Aidan Quilligan; Raghav Narsalay. “Industry X.0: Combine and Conquer – Unlocking the power of digital,” Accenture, 2017. Accessed on November 15, 2017 and viewable at: https://www.accenture.com/us-en/insight-industry-digital-reinvention. See how traditional asset-heavy organizations can learn to thrive under pressure.